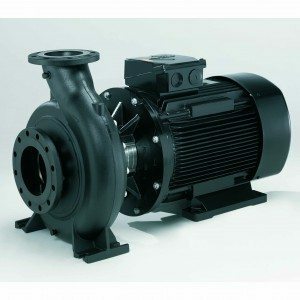 End suction pumps are the most widely used pump in the world and are simple, effective and reliable. In a standard set up water enters the pump via a horizontal pipe, goes through the impeller and – using centrifugal force – is flung out a vertical discharge. End Suction Pumps are generally suited to transfer and high flow applications. Pressure can be limited as they only have one impeller.